Justin Bieber's Hair Has Been Sold for $40,668. Celebrity relics have their price, this is why Justin Bieber's hair has been sold for $40,668. 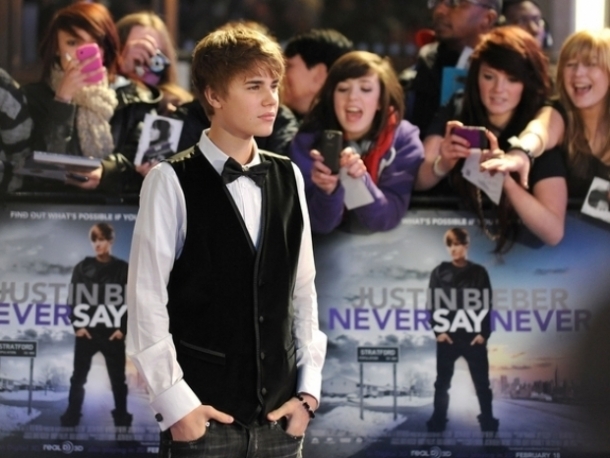 The young teen idol decided to make the cut and with it encourage fans to gather a larger sum for charity. His plan was indeed a hyper-success, find out more on the great campaign launched by the 'Baby' singer. The magazines and the web were flooded by the details related to the brand new haircut of Justin Bieber. However, it was not simply a change in his appearance, but a conscious decision to gather some money for a generous cause. The young songbird decided to make the announcement of his intention to auction his locks at the Ellen De Generes show. Fans and even the TV host were shocked and charmed by this great deed and the campaign started a few days after the show. Now we have the chance to learn about the fact that Justin Bieber's hair has been sold for $40,668 on eBay. As soon as the auction started people bombed the site with bids of no less than $10,000. Yesterday the auction was finally closed and the lucky bidder paid the huge sum of $40, 668 for this celebrity trophy encased in a box and also signed by the young heartthrob. Moreover, the person who decided to pay so much for the trimmed locks of Justin Bieber will also get the chance to meet him in person at the next Ellen DeGeneres show. The money collected with this mass-appealing campaign was finally donated to The Gentle Barn Foundation established for animal rescue actions. In spite of the fact that the name of the winner is not yet disclosed, the organizers of the campaign and fans are still thankful for this generous act. It seems that all the beauty products, magazines and other stuff linked to the name of Justin Bieber can be sold for a super-high price. The rising popularity of the 'Baby' singer is visible, tabloids devote special section for the news related to the young musician and TV shows are glad to interview him just about anything that would reveal some delicate details of his private or professional life. Justin indeed offers them several subjects to discuss, thanks to his now-public relationship with Disney star Selena Gomez as well as his future charity and music projects.